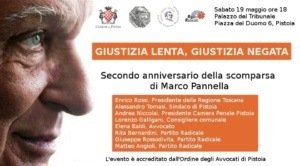 On May 19 of two years ago, Marco Pannella, leader of the Nonviolent Radical Party Transnational Transparty and founder of the Global Committee for the Rule of Law, passed away. His life and his political actions were recalled with a public meeting focussed on the issue of justice, a theme that he fought for strongly. The debate entitled “Justice delayed is justice denied” was held in the historic seat of the Court of Pistoia and saw the participation of national and local representatives of the Radical Party, members of civil and criminal justice and the President of Tuscany, Enrico Rossi, with a message (in Italian). 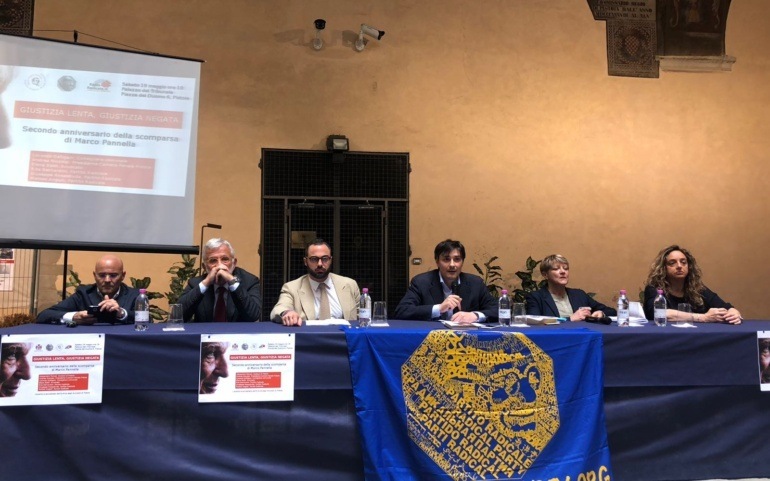 The meeting was preceded by a visit by a delegation from the Radical Party, led by Rita Bernardini, in the city’s prison. 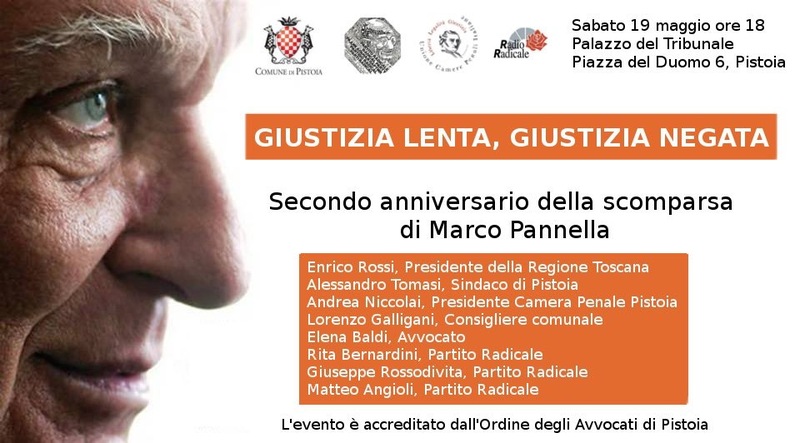 In the morning of May 19, other leaders and activists of the Radical Party, along with local authorities, relatives and friends, paid trubute to Marco Pannella in his hometown Teramo, at the cemetery where he rests. 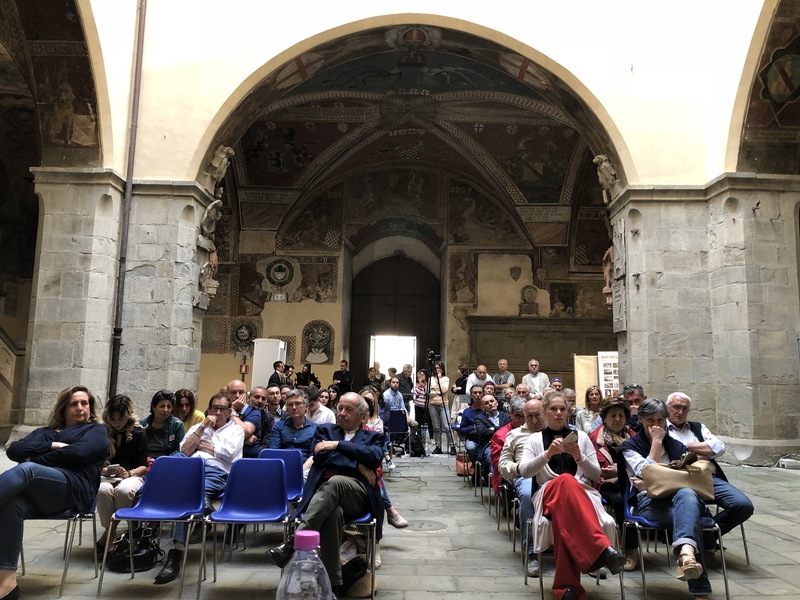 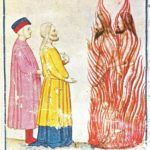 The meeting was broadcasted live by Radio Radicale (in Italian).